RSM (REDOX signaling molecule) action is the root of glandu­lar function in the body; it is how hormones transmit information. The endocrine system is a network of glands that produce and release hormones, controlling the body’s ability to turn calories into energy. This system influences the beating of your heart, the growth of your bones and tissues, and your ability to reproduce. It also holds the key to diabetes, thyroid disease, growth disorders, and sexual dysfunction. Weight Maintenance–With obesity, sedentary lifestyles, hyper­tension, and high lipid levels happening in epidemic proportions, disruption of RSM balance is epidemic as well. This means that the redox signaling bio­chemical reactions aren’t keeping up with insulin resistance, pancreas B-cell dysfunction, and mitochondrial break­down, leading to diseases like type 1 diabetes. Maintaining a proper REDOX potential helps to prevent the cellular confusion and disease at this cellular/molecular level. Thyroid Function–Thyroid metabolism is a balancing act of hormones and the RSM that drive those hormones and their receptors. 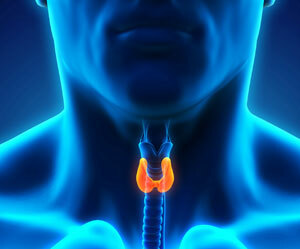 The thyroid produces hormones with specific directives for every cell in the body. The pituitary gland’s sensors, modulated by RSM, register feedback in the brain that controls continued hormone production and balance. This whole mechanism de­pends on the science of redox chemistry. Enzyme Action–Even the smallest nutrient can exert multiple actions on the endocrine system. Selenium, for example, causes the expression of dozens of enzymes called selenoenzymes, which modify cell functions mediated by RSM. This shifts cell growth rates and the production of transcription factors that also regulate cell nucleus function. Just the pres­ence of this one trace mineral causes thousands of RSM reactions that affect hormone systems, from the thyroid to reproductive and beyond. Real-Time Feedback–Without thought, the body functions automatically, circulating hormones and providing immediate and consistent real-time feedback on that function. This automatic adjustment and balance is vital to survival, regulating growth, the metabolism of food, and reproduction. RSM provide the substrate for this del­icate and fundamental communication that influences every cell in the body.